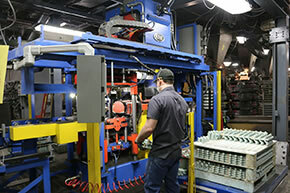 Equipment Manufacturers International utilizes decades of experience and expertise in providing solutions to our customer’s unique requirements. We offer a wide range of equipment and services to replace or enhance your current system. We’ve created a library of various videos to help you understand more about our company and understand more about the machinery we produce. If you don’t find what you’re looking for in this video library, please contact us at 216-651-6700 or use the form on this page.